Recently, the Olympic team of Saudi Arabia has given agreed for sending the four female athletes from the country to compete in the Rio August Olympic games this year. Sara Al-Attar, Cariman Abu Al-Jadail, Lubna Al-Omair and Wujud Fahmi were known to be that four women athletes from the nation who were said to be the second group of female Olympians to represent their country Saudi in Olympics where women are banned from driving and are restricted to male guardian method. The announcement of the male and female athletes of Saudi Arabia was made separately which gave rise to the sensitivity of women’s athletics in the country and segregation of the gender. As per the spokesman, it is known that those four female Olympians will be given the wildcard entries to the Rio de Janeiro 2016 Olympics and so they can compete in there without having to meet any qualification standards. 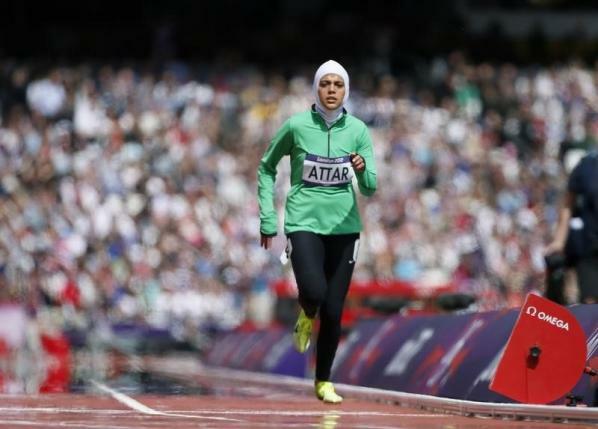 Saudi has given permission for the women to enter in the Olympics for the first time during 2012 London Olympic Games. The veteran of the London 2012 Olympics is the Attar where the women have run 800m. She will be again seen in Rio joined by the runner Abu Al-Jadail who will be competing in the 100m race. Fahmi will be competing in the 52kg judo whereas Omair will be seen competing in fencing competition at Rio. The Saudi Arabia women have to face many hurdles in order to participate in the sports such as, they need to wear head-to-toe garments among the public, need to take permission from the male guardians, to study, travel or to marry and they need to watch out the gender segregation rules.